SQS is preparing production of a new product group called FireFly that is going to enter the market of lighting components based on LED technology. 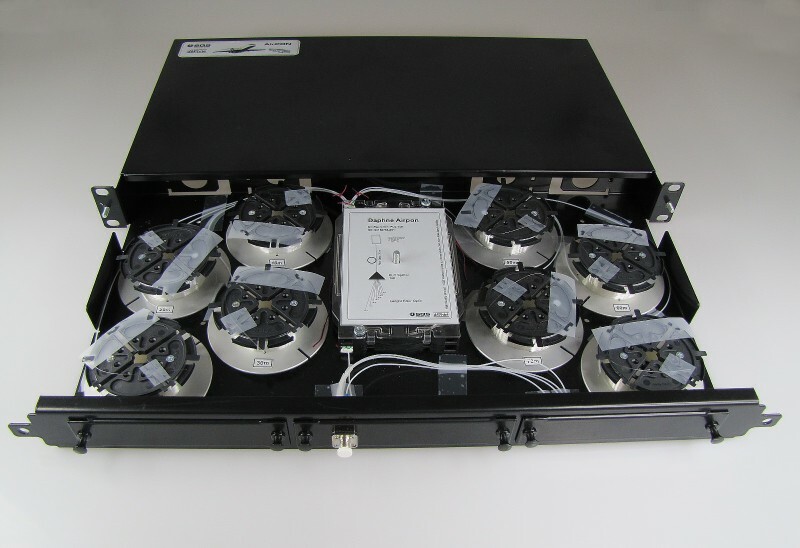 SQS Intelligent Light project introduces especially a concept or a platform for solutions of LED light modules (light engines) and their production, both designed with maximum flexibility for custom-made modifications. 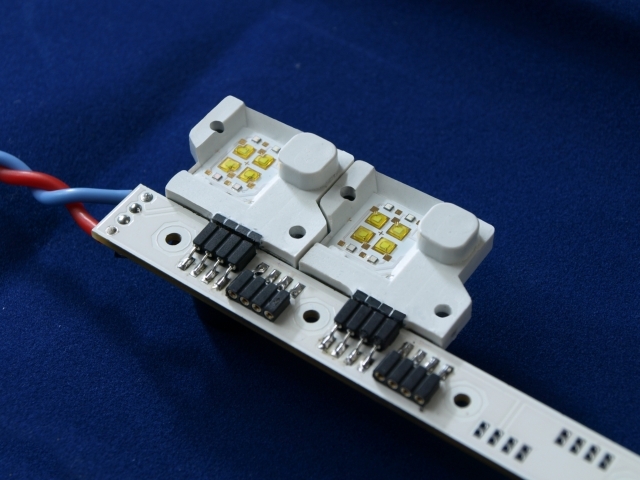 SQS FireFly offers two basic solutions of high brightness LED modules - FF-01 for low voltage DC (5-30V) and FF-02 for high voltage AC (230V) power supply. The modules in the form of hybrid integrated circuits (HIC) contain all necessary circuitry – they just have to be connected to power supply. Designers and manufacturers of lighting solutions are getting powerful components for wide range of industrial applications. SQS has attended a conference and exhibition Strategies in Light 2013. The event is aimed at presenting current trends in the areas of components, standards, measurements, design, and other related solutions based on LED technology for the lighting industry. For 14 years, Strategies in Light has been dedicated to providing the LED and lighting industry with a quality conference programming resulting in non-commercial educational programming for professionals across every segment of the LED/SSL market. The conference with accompanying exhibition covers the lighting industry hot topics, including discussions about solutions and practical approaches to current issues and challenges. SQS as the manufacturer of components for fiber optics and optoelectronics is going to use its years of experience to address a new market. 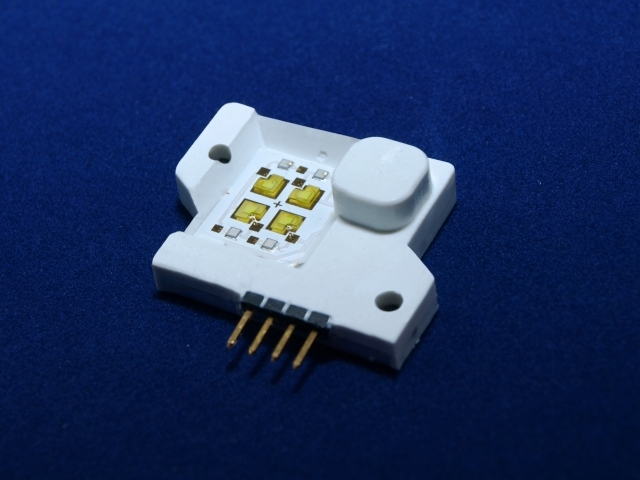 SQS Intelligent Light project realizes production of an SQS solution of LED hybrid integrated circuits for applications in lighting. 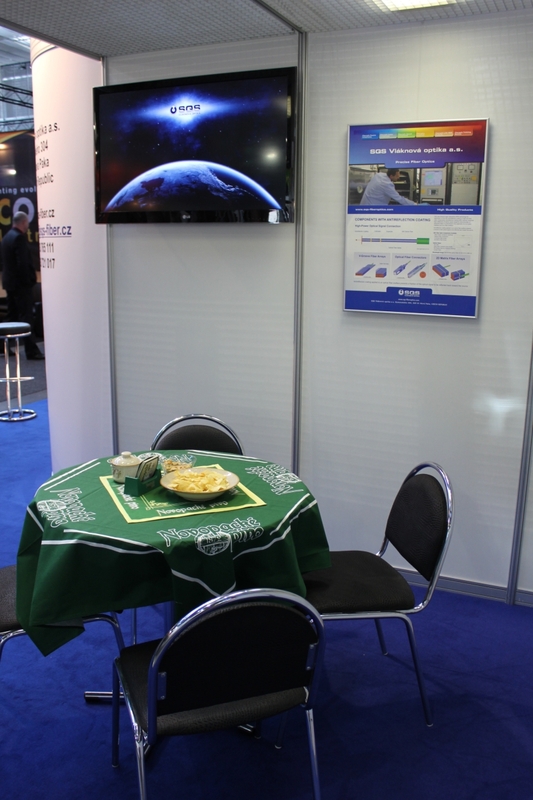 Between May 13 and May 16 SQS takes part at Laser the World of Photonics international trade fair in Munich. The LASER World of PHOTONICS trade fair and their congresses are the most important marketplaces and think tanks for the worldwide laser and photonics industry and its users. They also combine research and applications, and promote the use and further development of optical technologies. 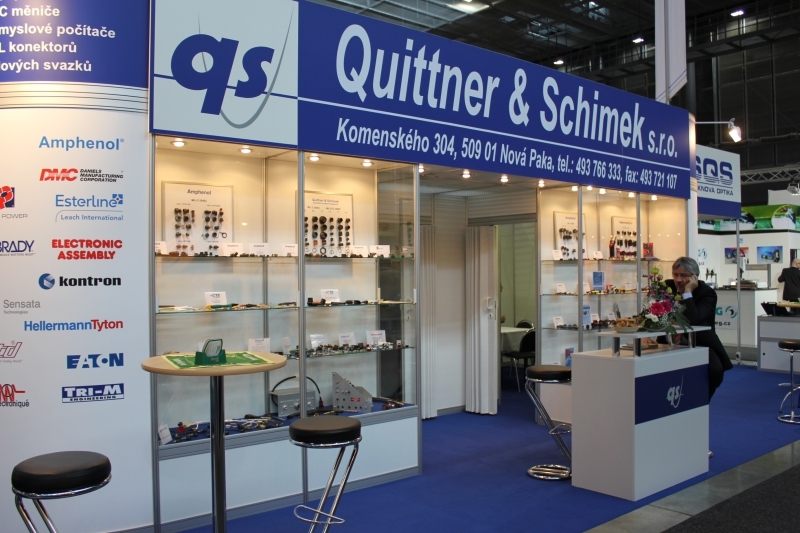 From March 19 to 22, 2013 at Brno Exhibition Center, SQS, in a joint booth with its sister company Quittner & Schimek, will exhibit at the International trade fair of electrical engineering, electronics, automation and communication Amper. 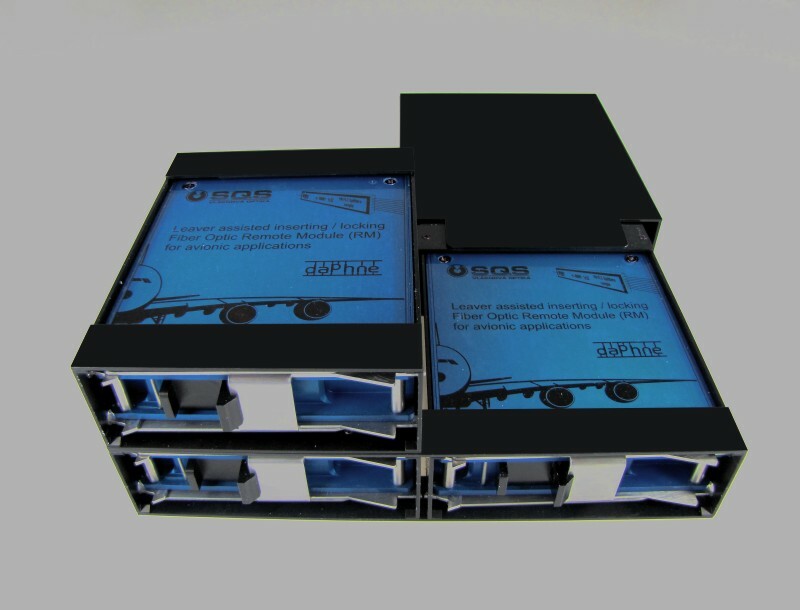 SQS will present not only an overview of its fiber optic product portfolio, but also several innovations especially in the field of optical components with anti-reflective coating, splitter MiniBox, and also splitter module with special lever assisted insertion and locking system. 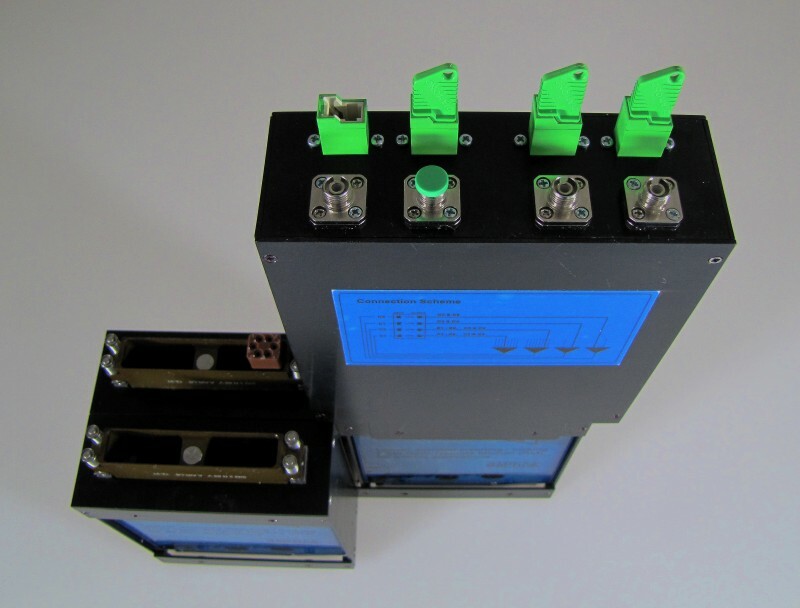 These devices were designed primarily for applications in sensor technology, and for demanding industrial applications in the automotive, aerospace, railway, oil and gas, chemical and military industry. Come visit us at our booth number F 052, see the attached invitation. 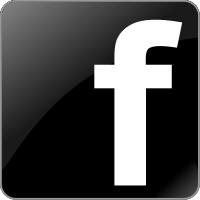 On February 21, 2013 the final meeting of Daphne project participants was held in Hamburg, Germany. SQS has taken part in Daphne since 2009. 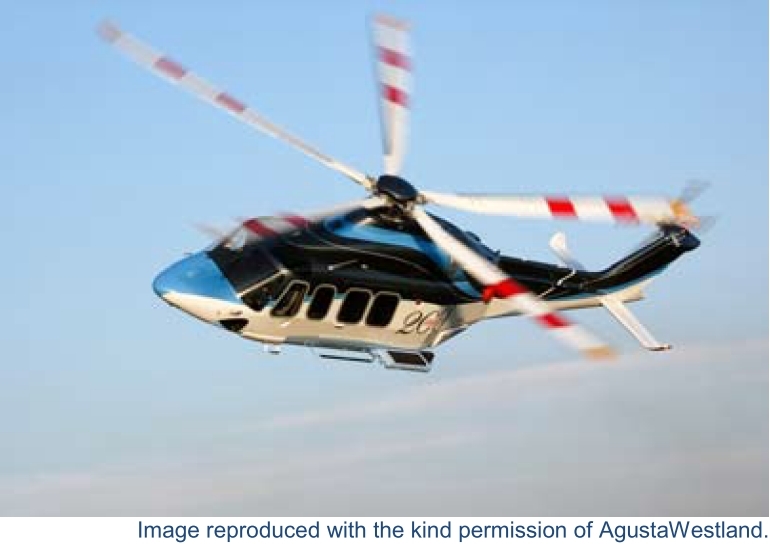 The project aims to the development of components, modules, and fiber optic networks for aircraft. At the meeting in Hamburg, representatives of individual participating companies introduced their results not only in presentations at the conference, but also at the accompanying exhibition where the specific solutions were on display. SQS representatives gave two lectures on PLC splitters, special splitter modules design, and application of PLC splitters in aircraft composite shell monitoring through embedded optical fibers. SQS solutions were also presented at the accompanying exhibition. SQS Vláknová optika se 20. – 21. 11. 2012 zúčastnila konference a výstavy FOHEC (Fiber Optics in Harsh Environments Conference) v britském Swindonu. Ilja Kopáček z SQS vystoupil s přednáškou „Splittery pro náročná prostředí v aplikacích pro AirPON“ (AirPON - síť PON na palubách letadel). SQS, jako člen skupiny DAPHNE, se účastnila také dvoudenní doprovodné výstavy, kde přestavovala především speciální splitterový modul s pákovým zasouvacím a zamykacím mechanizmem pro připojení do RM boxů na palubách letadel, a sériové/paralelní uspořádání RM boxů. K účastníkům konference FOHEC v minulosti patřili hlavně zástupci firem z leteckého, kosmického, obranného a námořního průmyslu, její zaměření však postupně přilákalo také účastníky z automobilového, železničního, ropného, plynárenského, chemického a vojenského automobilního průmyslu. 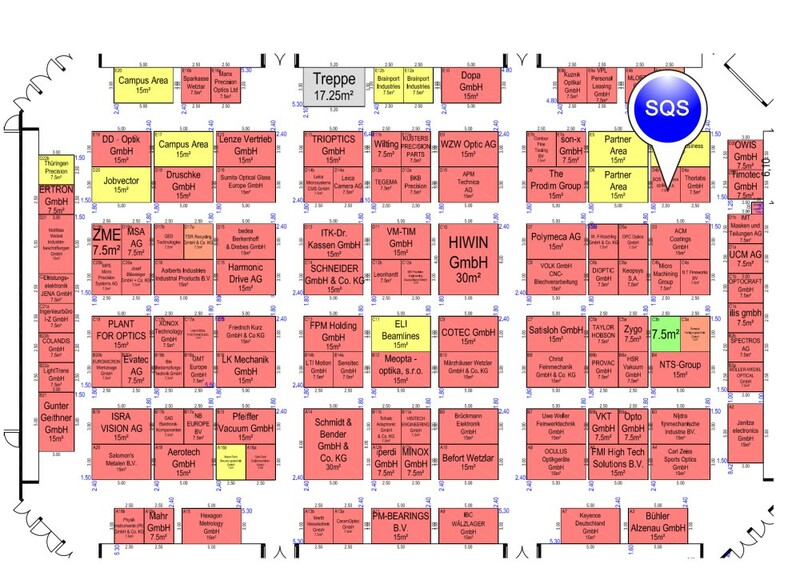 Between 17 and 19 September 2012 SQS will take part in the already traditional event of its marketing plan - an international exhibition and conference ECOC, this year held in Amsterdam, Netherlands. If you plan on visiting ECOC and if you are interested in any of our products or services, we would be pleased to welcome you at our stand No. 231. 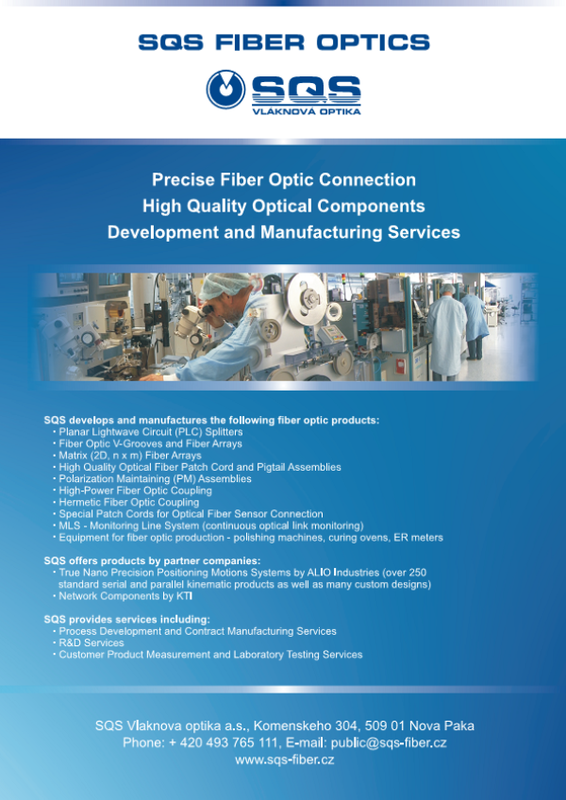 SQS will present a complete product portfolio of fiber optic components and services in research and development, process development and contract manufacturing. SQS’s company presentation is going to include fiber optic products from all current SQS product groups: - Optical interconnect cables with standard optical fibers and optical connectors, - Planar fiber optic splitters based on PLC technology (symmetric, asymmetric), - Fiber-optic routes monitoring system MLS, - Special fiber optic components (optical interconnect cables with increased mechanical protection, multi-fiber patch cables with multi-fiber MPO connectors, v-groove optical fiber array, 2D optical fiber array, fiber optic boxes for splitting the multi-fiber optical cables, hermetic optical fiber feed-through bushings, plug connections for high-power signal transmission, PM fiber optic assemblies, etc.) 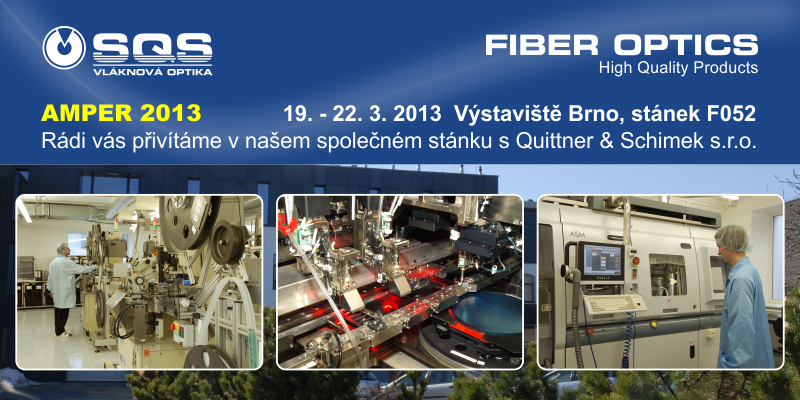 SQS will present also some newly developed products especially fiber optic components with antireflection coating. SQS Vlaknova optika a.s. has developed a new technology for application of an optical antireflection coating to the surface of fiber optic components (e.g. connector ferrules, lenses, fiber optic arrays etc.) to reduce unwanted back reflections of transferred optical signal. 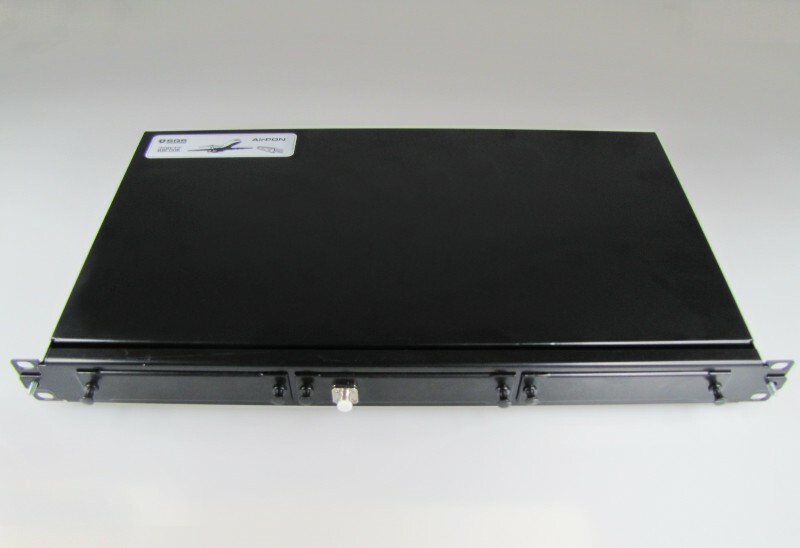 Thanks to the newly developed technology SQS may design and manufacture special fiber optic connector interfaces operating over defined wavelength range capable of transferring high-power signals with low reflectivity. Moreover, by applying the antireflection coating to polarization maintaining (PM) optical fiber assemblies, SQS may guarantee not only current excellent value of polarization extinction ratio (PER) but also an excellent value of back reflection which makes them predisposed to the most demanding applications, e.g. in sensor technology. QS Vlaknova optika a.s. has developed a new technology for application of an optical antireflection coating to the surface of fiber optic components (e.g. connector ferrules, lenses, fiber optic arrays etc.) 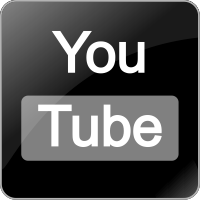 to reduce unwanted back reflections of transferred optical signal. 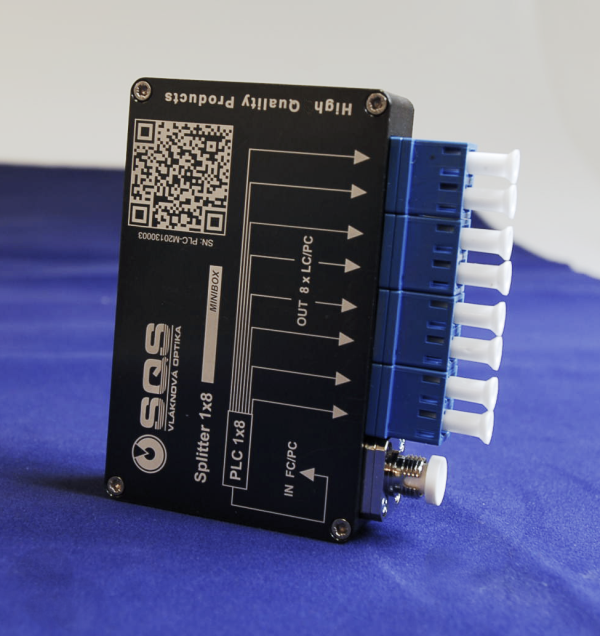 Thanks to the newly developed technology SQS may design and manufacture special fiber optic connector interfaces operating over defined wavelength range capable of transferring high-power signals with low reflectivity. Moreover, by applying the antireflection coating to polarization maintaining (PM) optical fiber assemblies, SQS may guarantee not only current excellent value of polarization extinction ratio (PER) but also an excellent value of back reflection which makes them predisposed to the most demanding applications, e.g. in sensor technology. SQS expands its fiber optics product portfolio with another item – EZ-Band 4.8mm fiber optic cable connector terminations. EZ-Band 4.8 fiber optic cable has been designed for both indoor and outdoor use especially in FTTx access networks. The structure of EZ-Bend cable jacketing 4.8 has been developed so that the cable could be exposed to maximum bends (minimum radius bends) with negligible changes in transmission parameters or with minimal impact on the loss of the transmitted optical signal. EZ-Bend 4.8 optical cable main applications are in fiber optic networks installations in multiple dwelling buildings (MDU distribution systems) and in domestic fiber optic networks in the homes of end users. 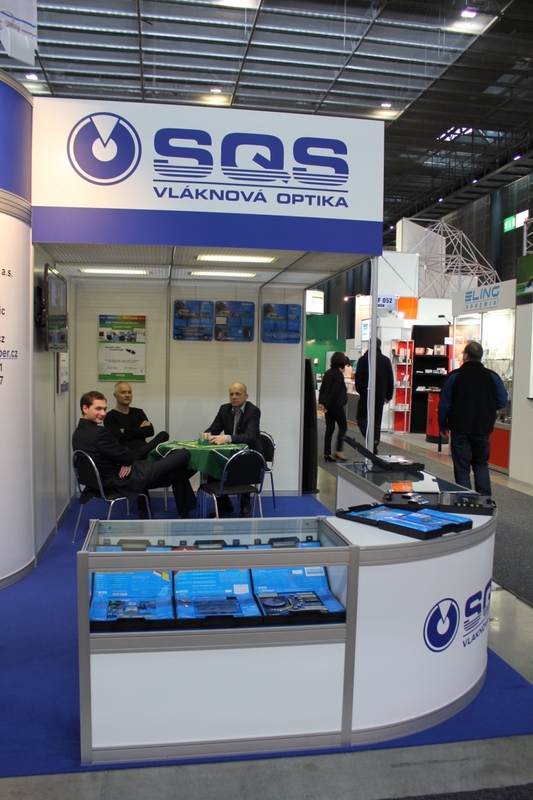 Between March 20 and 23, 2012, SQS attended the international trade fair Amper, which was for the second year held in Brno. And according to the media response, BVV Brno (or Trade Fairs Brno) suits Amper very well – it was reflected in increased participation of exhibitors and visitors. 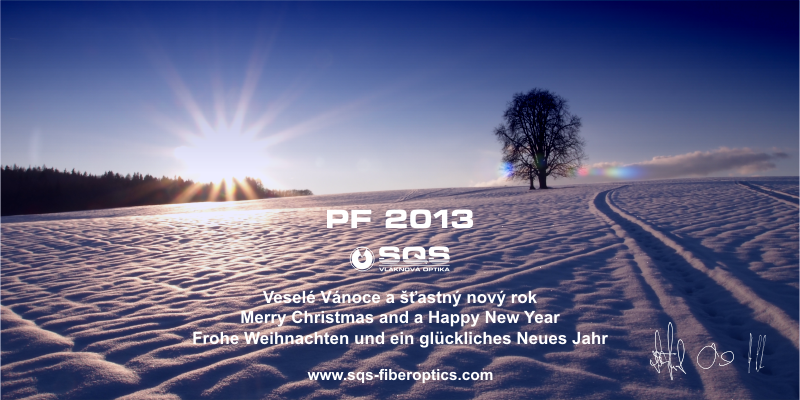 SQS presented not only its current range of fiber optic components, but also some special solutions of optical components developed by its own R&D department, in close cooperation with customers and/or with experts from the Academy of Sciences of the Czech Republic, and leading technical universities (Technical University of Prague, Institute of Chemical Technology of Prague, University of Technology in Brno, Technical University of Ostrava). This is especially about solutions of optical components for specific applications in harsh industrial environments including e.g. 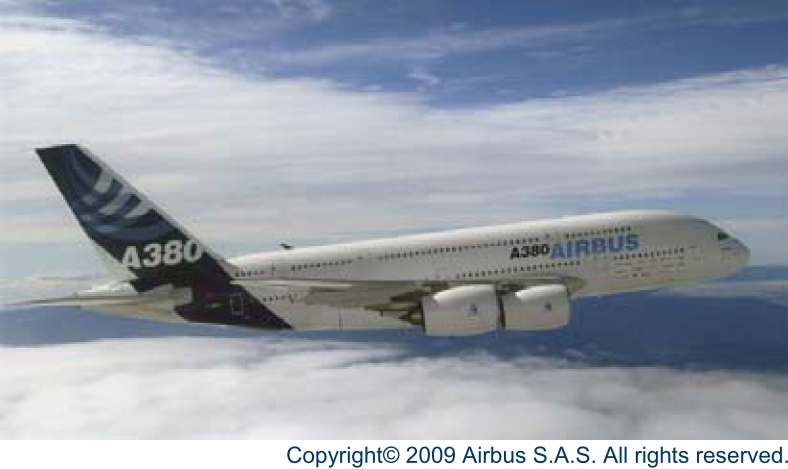 sensor technology, medical engineering, and measurement technology, aerospace, automotive, chemical and other industries. Solutions addressing these components are often built on a combination of SQS know-how, experience and skills already mastered accompanied by new technologies, e.g. such as PM, High-Power and ARC (i.e. applying anti-reflective coating on an optical connector ferrule). The SQS Fiber Optics has been invited to participate in supporting business mission of the Minister of Foreign Affairs, Mr. Karel Schwarzenberg, to the Philippines and Vietnam held between March 18 and 23, 2012. SQS accepted and as a member of the Czech delegation participated in several official meetings in the Ministries of Industry and Trade, the Ministry of Planning and Investment of Vietnam, and also in relevant business forums organized by chambers of commerce of the individual countries. SQS has been presented there as a Czech manufacturer focused on high-tech production of fiber optic and optoelectronic components used in various telecommunications and demanding harsh-environments applications including automotive, aerospace, power, and other industries.